Take your drink on the go! From the game South Park: The Stick of Truth, your favorite kids are back to make sure you stay hydrated everywhere you go. This water bottle includes a flip top spout and an extended loop so you can hang it anywhere you want. 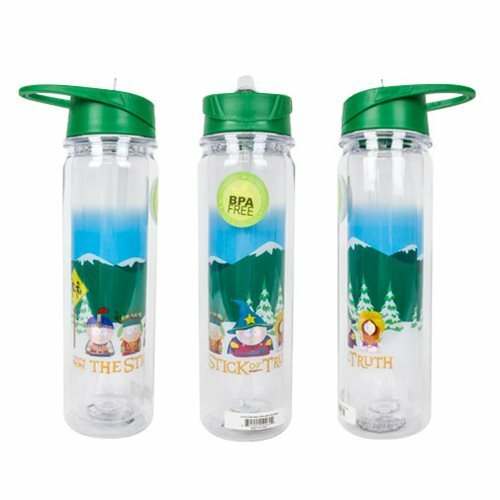 Drink up and go with this South Park the Stick of Truth Plastic Group Water Bottle. Hand wash only. Not dishwasher safe. Do not microwave.